1982 - There’s A Moon Out Again! 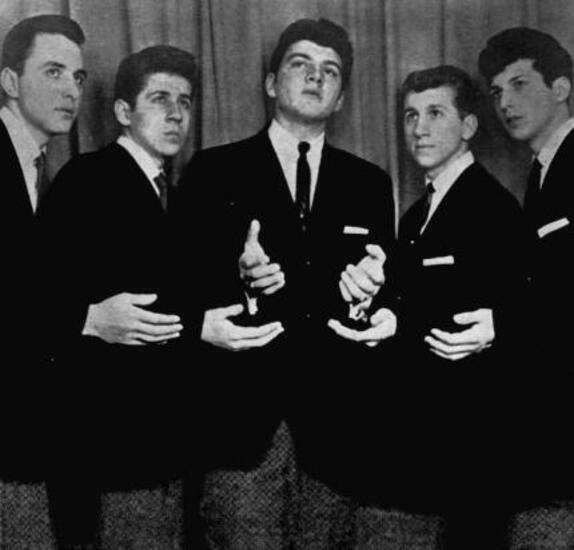 The group originally formed in 1957 in the borough of Queens, NY, when all were teenagers. 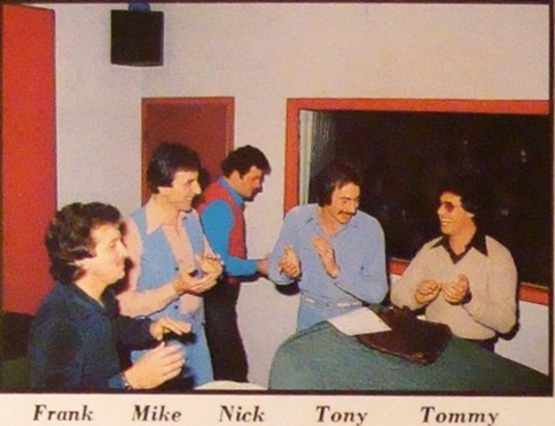 The original lead was Nick Santa Maria (aka Santo), Mike Mincelli (first tenor), Steve Reina (second tenor), Vinnie Narcardo (baritone), and John Caassese (bass). In selecting their name, the guys were apparently unfamiliar with the Philadelphia group that had preceded them by a few years. Previous interviews with different members of the group make it unclear whether the group was named for the Isle of Capri, or the car of the same name. Perhaps it was a combination of the two. 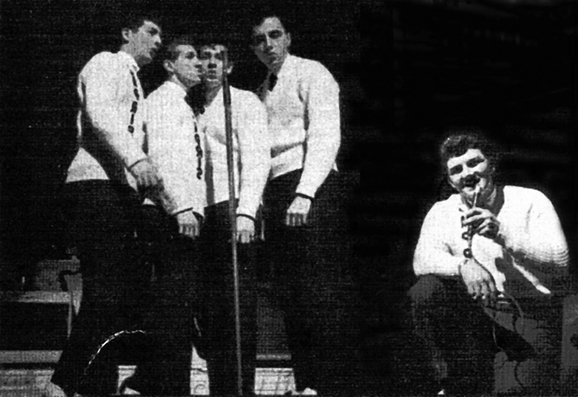 By 1958, the group had been gaining experience performing at local venues, and had even started adding some of their own original material to their repertoire. 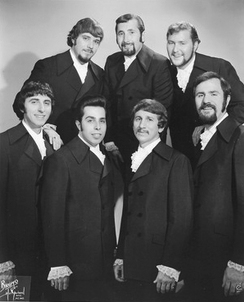 They attracted the attention of some independent record producers, and were soon in the studio cutting an original ballad called "There's a Moon out Tonight." 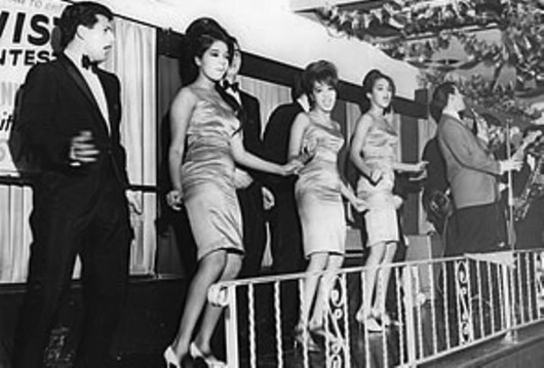 For the B-side, they recorded an interesting up-tempo novelty tune titled "Indian Girl." With it's strong 1950s rock & roll flavor, the sides were quickly picked up for release by Planet, a small New York City label. Unfortunately for the Capris though, Planet was not able to effectively promote the record and it became an almost instant obscurity. Original Planet pressings of "There's a Moon out Tonight" can now fetch up to 1,000 dollars in collectors circles, when one of these rare platters surfaces. Soon thereafter, the group members all went their separate ways, and one would think that's where the story would end. But, for the Capris, things took a different and an interesting turn. 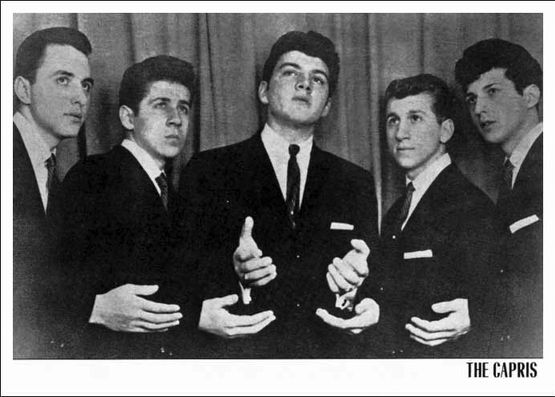 By 1960, much of what was being passed off to teenagers as rock & roll was polished pop with a beat; lacking the original vitality of what preceded it in the mid-'50s. Discerning and disgruntled teenagers were looking backward, and radio programs were starting to focus on "oldies," even though these "oldies" may have been released only two or three years earlier. 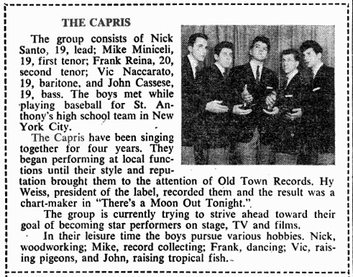 As luck would have it, the Capris' record found it's way in to the hands of Jerry Greene. 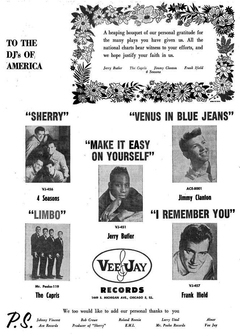 At the time, Greene worked for Times Square Records, a legendary New York City "oldies" store that supplied DJ Alan Fredericks with material for his Night Train radio show. Fredericks played the record and now kids were looking to buy it. Greene was initially able to get a few hundred of the remaining copies of the record from Planet. With the demand exceeding the dwindling number of available copies, Greene finally purchased the masters from Planet, started his own label, and reissued "There's a Moon out Tonight" as Lost Nite 101. But the demand kept growing and so Greene turned to Hy Weiss, who released the disc again, now on his Old Town label. 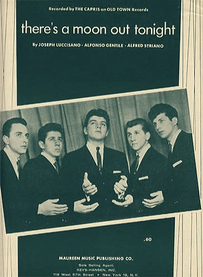 By early 1961, the record had made the national charts and stayed there for over three months. With a national hit on their hands, the Capris reunited and soon were playing some of the country's most prestigious venues, like the Regal in Chicago and the Apollo in New York City. 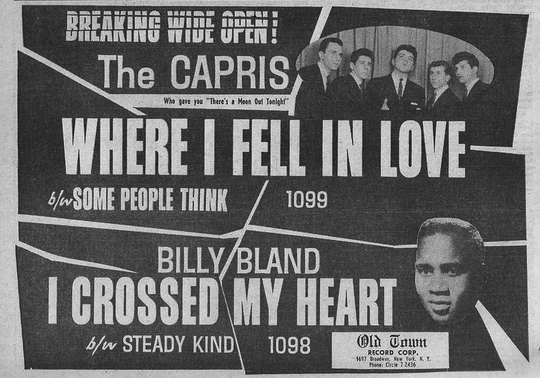 Trying to capitalize on the success of "There's a Moon out Tonight," Old Town released three more singles by the group, all in 1961. "Where I Fell In Love" was an average ballad that borrowed lyrically from "Moon" but lacked it's energy. The flip side "Some People Think," another ballad, was a stronger effort by the group. It probably would have done better without the syrupy strings that were added. It barely broke in to the national charts, and quickly dropped out of sight. Their next release, "Why Do I Cry," was a cliché-filled ballad, again with too much strings added. 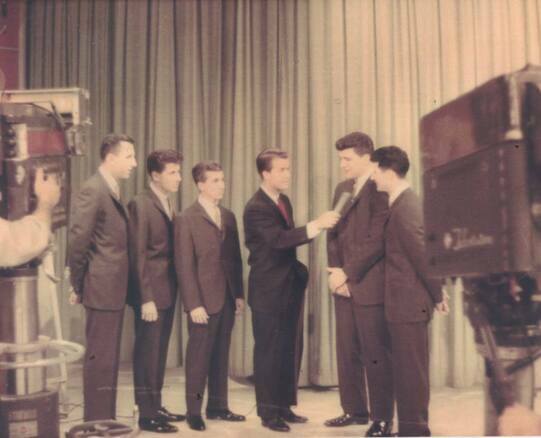 The flip side, "Tears in My Eyes," was another pleasant ballad by the group. But again, neither side registered with the fans. For their last Old Town pairing, they broke with the back-to-back ballad formula of the previous two releases. "My Island in the Sun" was a nice mid-tempo number with a cha feel. 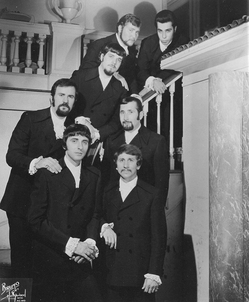 The flip "Girl in My Dreams" was a decent ballad, although with some overly busy string bass work that somewhat intrudes on the group's vocal efforts. This one also scratched at the bottom of the charts but never took off. Some previously unreleased Capris tracks for Old Town have now been made available on a series of CDs put out by England's Ace Records. 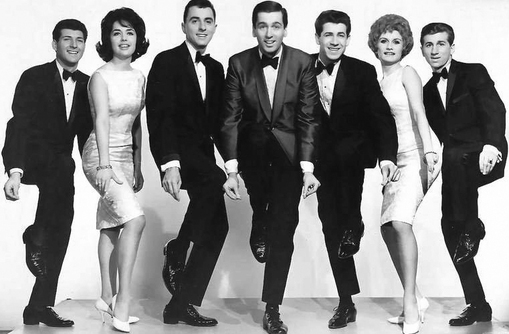 1962 saw the group leave Old Town and move over to the Mr. Peeke label for a single release "Limbo" backed with "From the Vine Came the Grape." Neither of these tunes captured the public's attention. 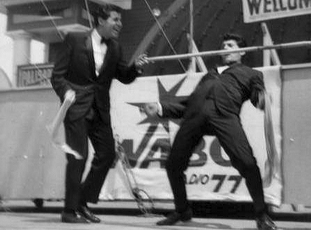 So, by 1963, the Capris were dissolving again, with Santo becoming one of New York City's finest. Over the next few years there would be other personnel changes as the group continued on with performances. But for the next big event in the history of the Capris, we'll fast forward about 20 years. In 1982, Nick Santo re-joined the group and they went in to the studio to record a new album, There's a Moon out Again, for Ambient Sound. 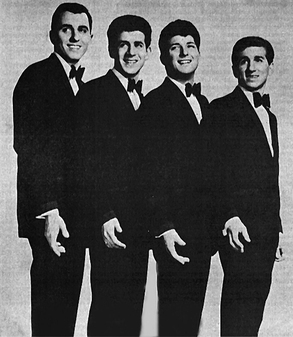 Besides doing covers of some Doo Wop classics, the Capris also included a couple of original tunes. One of these was a song called "Morse Code of Love." The tune sounded like it came right out of the late '50s, and many thought it was in fact an overlooked "oldie." It was also released as a single in 1982, backed with "There's a Moon out Again." And the song got even more exposure when Manhattan Transfer decided to cover it. Over the years, "Morse Code of Love" has only grown in popularity and has become one of the most requested tunes on oldies-type radio stations. 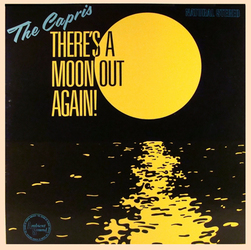 Once again the Capris scored a home run with a 1950s sound that touched the heartstrings of the listeners and evoked the spirit of a time when life was simpler.